He was Prince Charming. At first. The abuse came later, when he thought he owned her. It started with verbal attacks. She had done something wrong, he screamed. She couldn’t do anything right, it seemed. Other days, Prince Charming was back. One day he raped her. On two occasions he tried to kill her. She went on a quest to heal, to understand, to gather the pieces of the puzzle, to make whole. Her inner and outer journeys took her deep into a chain of ancestral pain. Along the way she learned the secrets of transformation. She left the past behind and changed her life. Are you tired of tripping over your past? Do you keep repeating the same relationship scenarios over and over again? Do you wonder why some people manage to move past the dreadful things that have happened to them? Find out how to quit your whining, leave your baggage behind and create a new you. 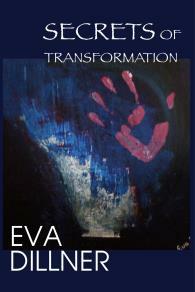 Eva Dillner is a writer, artist and teacher working with creative and therapeutic processes for inspiration and transformation. Originally an engineer, she turned to alternative therapies when life skidded to a halt in the early nineties. She trained with the best in the business from Seattle to Edinburgh and beyond. In the last five years she’s published five books and has toured Europe and the United States to hold Eva Parties - instead of Tupperware, you get Eva live and in the moment.